Congratulations to our winner, Diego Pontes! Thanks to everyone for entering! It’s all over now. Our winner has been contacted via email and we’ll report back once confirmed! It’s simple to enter for a chance to win! You can earn up to 6 entries in seconds using the widget below by liking our Facebook, following us on Twitter, tweeting about the giveaway, and/or answering a question. You can even earn 1 additional entry by tweeting about the giveaway everyday! The contest will begin on 7/5/14 11:30 AM and end on 7/19/14 11:59 PM! We’ll announce the winner once confirmed during the following week. Entries are handled through the Rafflecopter widget above. Your email address is required in order to contact you if you’re our win, but it will not be shared with any third-party (other than Image-Line for your prize). This giveaway contest is open to all residents of the 50 States, the District of Columbia, and Canada (excluding Quebec), 18 or older! Sorry, if you are not qualified as this is a law requirement – not our decision. 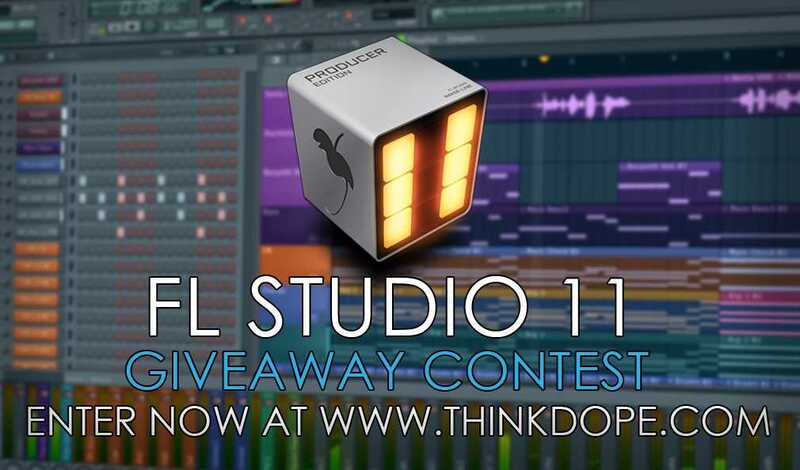 One (1) winner will be chosen at random to receive one (1) Image-Line FL Studio 11 Producer Edition download link and serial number. You will be notified by email, if you are our randomly chosen winner. Winner must respond within three days of being contacted. If you do not respond within that period, another winner will be chosen. To ensure your notification of potential winnings verify that the account you use to enter the contest includes your real name and a contact email or Facebook login. We also recommend you add garett@thinkdope.com to your contacts to ensure the message doesn’t go to spam. This software is purely for promotional giveaway. Image-Line and ThinkDope / Desoulbel are not held liable to honor warranties, exchanges or customer service. Facebook likes and Twitter follows are all optional ways to gain additional entries. We will not exploit, spam, or sell this information. You will be updated with our best content on which ever platforms you choose to follow us on! The general official rules of giveaways can be found here. Remember our giveaway will go through from now until Saturday July 19, 2014 at 11:59 PM. Enter and share with your friends – good luck to everyone!